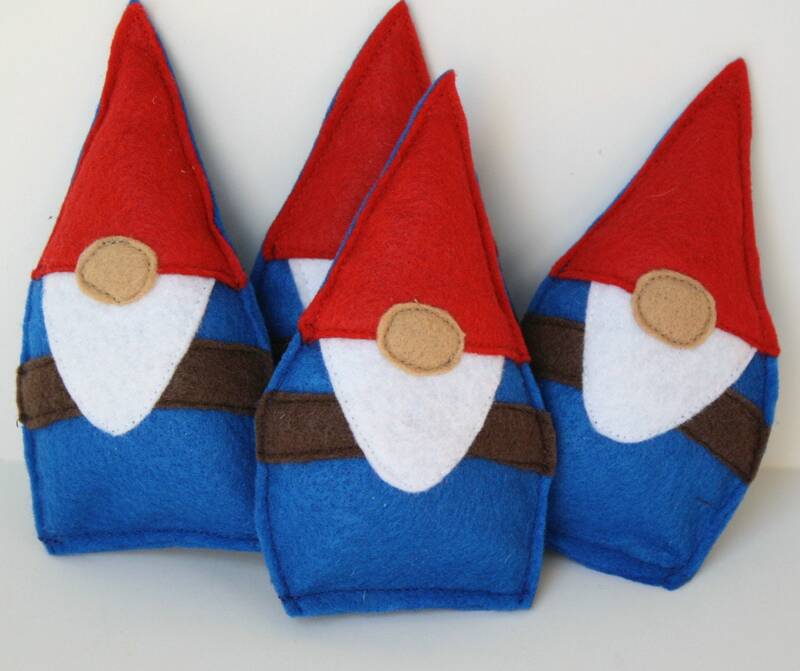 These adorable gnomes are made from polyester felt (made in the USA) and stuffed with a bit of 100% recycled polyester stuffing and super strong all natural catnip and silver vine. Your cat will go crazy! They measure 5" high by 3" wide. You get one gnome. Other toys in last photo are not included. The kitty LOVED it. The gnome was shipped quickly and was received in perfect condition. This toy is so cute and my cats love it.